Fishing is a challenging hobby that requires the best equipment. A spinning reel is one of the most essential tools and choosing the right one can be difficult, especially if you are focusing on inshore fishing. Inshore spinning reels are a great choice and have come a long way over the years and offer multiple advantages like ease of use, ability to handle powerful fish and ease of cleaning when they get dunked in water. This article reviews the best inshore spinning reels and what makes them tick. But first, below are a few things you should know before embarking on your search. While very different, both inshore and offshore fishing make for a great day of fishing. They have their own merits, and the choice of what kind of fishing is better comes down to personal preference. Fishing in waters less than 30m deep is considered inshore fishing. The water is calm, and the equipment required for this style of fishing is less expensive and very basic. You can utilize smaller gear and vessels. You will find smaller species of fish in this type of water. Some anglers argue that inshore fishing is less exciting because there isn’t a lot of hardship involved. Offshore fishing occurs in waters more than 30m deep and is also known as deep water fishing. Larger vessels are required to navigate these waters, and you’re more likely to catch serious trophies like bluefin tuna. Due to the increased variables, offshore fishing has more potential for physical exertion. Simplicity: The ability to break down and clean with ease is of paramount importance when it comes to inshore spinning reels. Consider a model with a front drag because it is more consistent and smoother. Construction Materials: Stainless steel, graphite, and aluminum are the most common materials used to make spinning reels. Magnesium, while lightweight and a good option for brass reels is susceptible to corrosion. Stainless steel and aluminum are lightweight, strong and don’t corrode. Graphite is quite durable but doesn’t offer as much flexibility as the other materials. Corrosion Resistance: Reels made from rust-proof metals and sealed rotors tend to last longer. Stainless steel is our favorite in this case, but aluminum and graphite offer good corrosion resistance at a reduced cost. 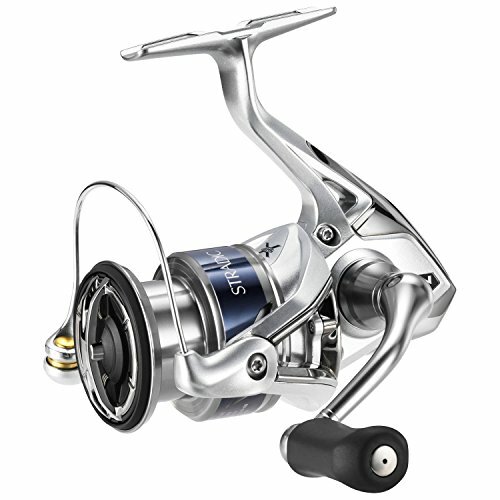 Size: Manufacturers offer spinning reels in multiple sizes, often ranging from 1000 to 8000. For inshore fishing, spinning reels that fall between size 3000 and 4000 will suffice. They are capable of handling any fish you encounter in the backwater. Drag: You want smooth and strong drag, especially when working with jittery fish. Inconsistent pressure when fighting with larger fish will only cause the set drag to peak and double, resulting in a snap of the line. We recommend a model with a front drag because it is more consistent, easier to adjust and smoother. First released in the spring of 2016, the Daiwa BG 3000 is the latest version of the Daiwa Black Gold released in 1981. 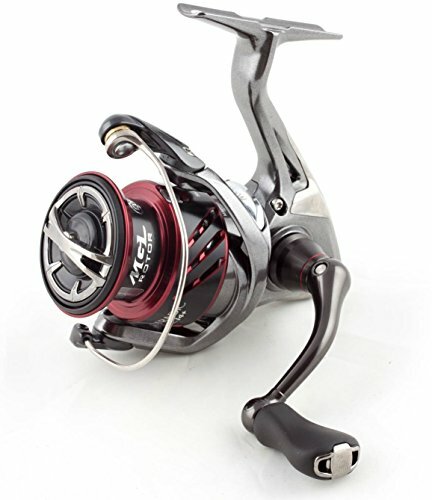 It features some of the most popular Daiwa’s components, including the Hard Boyz black anodized finish that offers a reliable protection layer. The Digi-Gear System consists of oversized gears digitally cut with a CNC machine. This cutting technique allows for more teeth to be in contact with each other at any point in time providing for a smoother retrieve. This gear system also offers increased torque to reel in larger fish. A screw-in handle is used to eliminate play between the main gear and handle arm. The result is a very solid feel when cranking the handle. 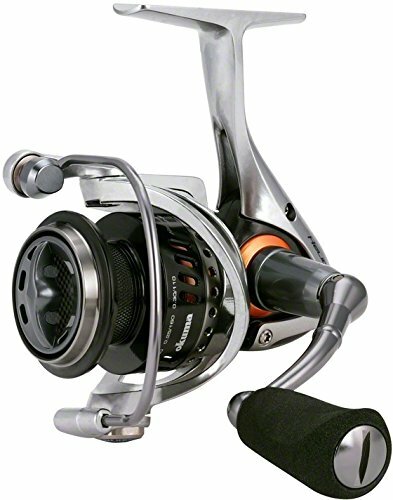 This reel offers smooth line loading thanks to its dynamic cut aluminum ABS spool. There is a rubber ring in the center of the ABS spool that allows you to use braided line. The ATD Tournament Drag System uses cross-cut drag washers to ensure accurate casting and smooth retrieve. There are seven stainless steel bearings and an infinite anti-reverse system to eliminate back play when setting the hook. The Lews Mach I Speed Spin is incredibly fast with a gear ratio of 6.2:1. You can pick a generous amount of line per crank and always stay ahead of the fish. It features a super smooth bearing system with nine ball bearings and an anti-reverse roller bearing. The graphite body is lightweight and keeps all the moving parts in alignment. This reel uses a C40 skeleton carbon rotor, and double anodized ported knurled aluminum spool. This feature combination helps improve casting and reduce weight. The stainless steel bail wire is durable and adds another layer of strength. The multi-disc drag system delivers smooth performance while the precision cut brass pinion gear provides optimal winding power. The Shimano Stradic FK is a workhorse spinning reel that offers lasting reliability at an affordable cost. Available in five sizes, its gear ratio hovers around 6.0:1. This is typical for inshore reels that are versatile for a variety of applications. It boasts a rigid and impact resistant Hagane body. This eliminates any flexing that may result in the displacement of drag and gear systems. The Hagane gears are cold forged and measured to precision using 3D imaging to provide unparalleled meshing and durability. X-Ship Technology uses two bearings to support the pinion gear on either side, thus maintaining gear alignment. The Aero Wrap II reduces friction when casting and ensures an even line lay during the retrieve. This reel also features a cold forged aluminum spool and a power roller with a distinctive design that reduces line twist by 50%. The Dyna Balance feature eliminates wobble and offers smooth retrieval while Propulsion Line Management System enables the line to slip off the spool with minimal friction. The result is long, accurate casts. 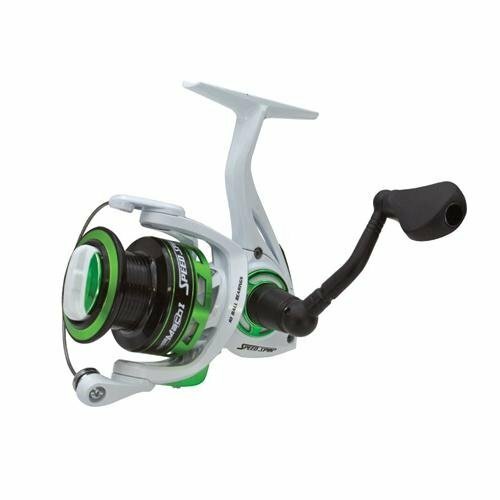 One of the strong selling points for this spinning reel is all-metal aluminum body including the handle, side plates, spool, and bail. It resists flex and reduces the risk of gear or drag displacement. The carbon graphite keeps the weight down while stainless steel bearings ensure smooth retrieve. There are additional shields to prevent salt and grit from entering the bearing chamber. An anti-reverse bearing is used to eliminate play between the hook and engagement of the drag. Penn incorporates Dura Gear Technology to ensure precise gear placement for stronger teeth grip and reduced wear in the long run. The spool oscillates up and down during retrieve and is known as Levelline Oscillation. It spreads the line across the spool rather than laying it on top of itself. The line capacity rings let you know how much line remains on the spool, which is helpful when fighting stronger species. 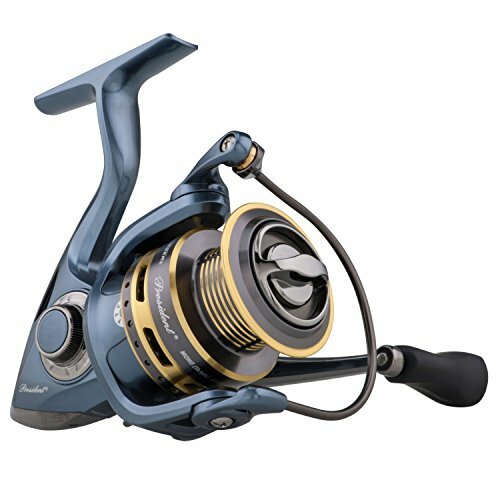 The Okuma Helios Fishing Reel comes in four sizes, all with a gear ratio of 5.0:1. It offers a unique combination of construction and design coupled with innovations and durability. Highlights include C-40X technology that utilizes carbon fiber construction for the frame and rotor. Also, this innovation uses a blended graphite polymer. The aluminum frames can withstand high pressure and torque, unlike traditional graphite frames. This reel uses a RESII computer balanced rotor equalized system to provide a wobble-free fishing experience. The new Carbonite drag system offers smooth performance and improved heat resistance. The Helios Precision Elliptical Gear System is a revolutionary innovation that keeps the drive gear and pinion gear connected with teeth. As a result, you get more torque and power when battling larger fish. Next up is the Penn Fierce II, which offers multiple upgrades over the Pursuit II at a reasonable cost. It comes with a full metal die-cast aluminum body and side plates that ensure precise gear alignment. 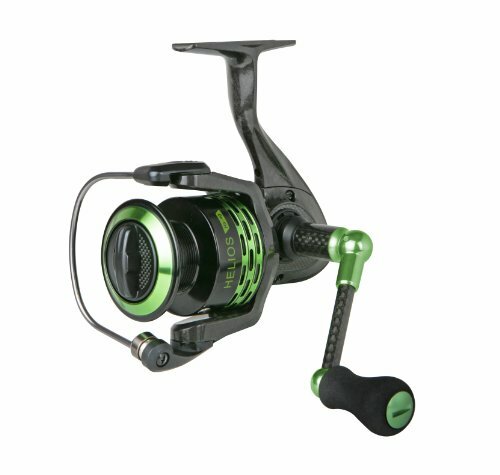 The patented Techno-Balanced rotor combined with a 4+1 bearing system makes the reel feel silky smooth. There are two bearings on the pinion gear, two on the main gear and an additional one on the instant anti-reverse. All the bearings are shielded for protection against corrosion, and the anti-reverse eliminates back play during the retrieve. The Penn Fierce II also features aluminum bail wire that withstands the test of time. It is highly resistant to bending or warping, hence superior line management and even line lay. The Superline Spool has line capacity rings that let you know when it’s time to replace the line. The spool also allows you to attach braided line without backing it with mono. 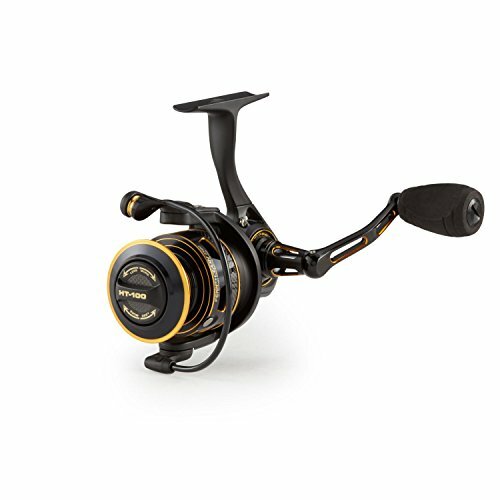 The Pflueger President XT SP35X features a lightweight graphite body and rotor. Corrosion resistant ball bearings made from stainless steel are used in the 9+1 bearing system to ensure smooth retrieve. Unlike other models, the bearings aren’t sealed, so rinsing after saltwater use is essential. The ported spool made from solid aluminum allows you to tie braid line directly without needing mono backing. This is made possible by vertical rubber grommets. The trademark Sure-Click bail is made out of aluminum and produces an audible click to let you know when it is ready to cast. Pflueger incorporates stainless steel/oil felt drag system that delivers smooth and consistent pressure. 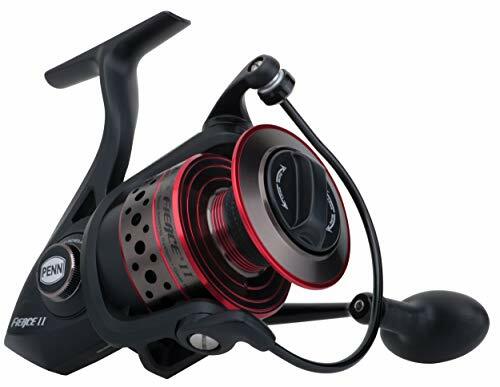 The reel also comes with an aircraft-grade aluminum handle and soft touch knobs that a firm, comfortable grip. This is an upgraded version of the original Ci4 and comes in four sizes. 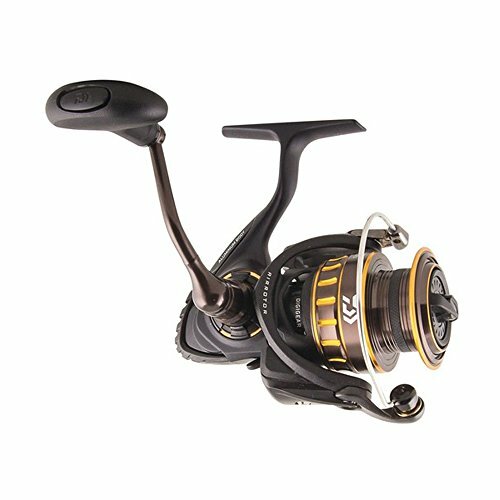 The Stradic Ci4+ 2500 FB boasts a gear ratio of 5.0:1, which is pretty fast for an inshore reel. It has six bearings for smooth retrieve and minimal back play between the handle arm and main gear. The newly developed Magnumlite rotor offers a light in-hand feel when retrieving lines. As the name suggests, Shimano uses Ci4+ carbon for construction. This material reduces overall weight while maintaining the rigidity of the reel. Another notable feature is the X-Ship technology, which uses special bearings to support pinion gear on both sides. The G-Free Body centers the internal components and balances the ≥reel. Cold forged aluminum drive gear combined with hardened brass pinion gear offers better durability than standard stainless steel while retaining the smoothness Shimano reels are known. The Okuma Helios SX 30 replaces the previous Helios and is exceptionally lightweight. It is made with C-40X technology, which injects long strands of carbon with resin to form a product that is 50% stronger and 25% lighter than graphite. This design is entirely corrosion resistant. The C-40X cyclonic flow rotor has a ported design that allows for increased airflow. The Torsion Control Armor utilizes two arms like the fork of a bicycle to eliminate the twisting effect often felt on a reel. Another notable feature of the Helios SX 30 is the carbon fiber drag system. It has a multi-ratcheted drag knob that provides a smooth drag. The reel uses eight ball bearings and a roller bearing, all made from stainless steel for ultimate strength and corrosion resistance. A quick-set anti-reverse roller bearing is utilized to eliminate slop on the reel when setting your hook. Other notable features include RSIII computer-balanced rotor equalizing system and Centrifugal Disc Bail Design that combines aluminum bail wire with a heavy-duty brass disc. While the above inshore spinning reels tick all the boxes, the Daiwa BG 3000 is by far our favorite. It has a crazy amount of technology that provides for a strong powerful drag and smooth operation. We consider it to be the total package when it comes to inshore spinning reels. Our overall best value considering features and price is the Lews Mach I Speed Spin. It is lightweight, smooth and has a powerful drag. Also, it is high quality and lasts a long time if you take care of it.